Plot: A baker and his wife encounter several other fairy tale figures as they try to complete a task for a witch. I saw this musical on stage several years ago and absolutely loved it. When I heard that Disney was making it into a film I was a bit nervous that the story would get too sanitized from the original to really have any impact. Thankfully, I was wrong. Disney did a spectacular job at making this a musical palatable for children, (although I probably wouldn't take anyone under age 8), yet still intense and dramatic for the adults. The screen version is also significantly funnier than I remember the stage performance to be. One big mark against this film is its length. There is a point where it feels like the movie ends, but then it goes on for about an hour after that. They probably could have accomplished the same thing by editing the last hour down to about 20 minutes. Chris Pine steals the show and his song "Agony" is the highlight of the entire film. Meryl Streep does a fine job, although I wouldn't consider it to be award-worthy. If I had my choice of award nominations for this movie I would give the nod to Daniel Huttlestone who plays Jack. (He also plays Gavroche in Les Mis). He is mesmerizing once again. Fans of the musical will notice missing and new songs in this version, but I think you will like this version all the same. 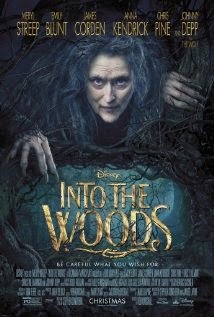 You can also watch my Drive Through Movie Review of INTO THE WOODS on YABooksCentral.com. 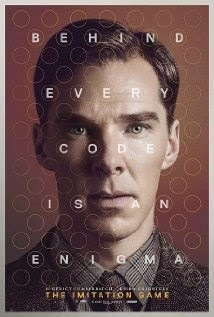 Plot: A British mathematician works to break the German's code to help the allies win the war. This is easily one of my top ten films of the year. Benedict Cumberbatch gives a masterful performance as does Keira Knightley. This movie is so highly compelling because the stakes are so high, and this cast delivers the intensity to the audience every step of the way. Without giving anything away I will say that the scene following their success is one of the most powerful, gut-wrenching and heart-breaking scenes I have ever seen. This is truly a masterpiece that should be seen by all. Plot: A former Olympian gets stranded at sea during World War II then becomes a prisoner of war inside Japan for several years. 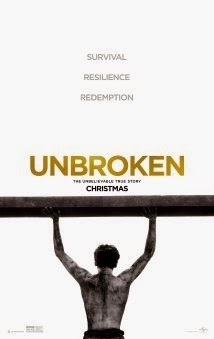 Fair or not, UNBROKEN and director Angelina Jolie have the unfortunate draw of opening against another true-story World War II film, and THE IMITATION GAME completely obliterates this film in all aspects. This movie could have been something special, but it never gets there. I wasn't made to care for the main character any more than the other POWs, nor did I really hate his enemies. The character development was weak at best and in many cases non-existent. We blow through the main character's childhood and Olympic career so fast that we miss anything that might have been compelling about him. Jolie uses flashbacks during the first third of the film which are powerful and well done, but then they just stop. For the last two thirds of the film we get nothing. I think the movie could have been a lot more powerful if she had kept those flashbacks going as a way to show his resolve and something to give him hope. This is not a bad film at all, in fact it is pretty good, it just isn't great. And a movie like this needs to be great. Plot: A woman's paintings start to become very popular, but her husband takes credit for them. 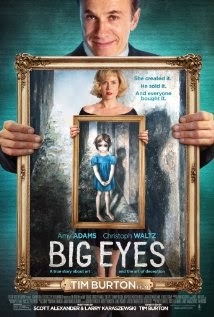 Whether you remember the actual Big Eyes phenomenon or not this movie will touch you. Waltz and Adams are outstanding in their respective roles as an overbearing con artist and a beaten down artist. The film is pretty straight forward, especially for a Tim Burton flick, but he does inject his special flair for the odd throughout the film. For a movie about painting, it is surprisingly fast-paced and the tempo really never lets down. It's full of drama and suspense and the story is as compelling as a high-value art heist. It's just an art heist done in a subtle way.